The stamp depict us a two-mast topsail schooner, when she carry on the foremast on the fore topmast a square sail or sails and a foresail with a boom on the lower mast, on the main mast a main sail with boom and a gaff topsail she is called a topsail schooner. The name of the vessel is not known. 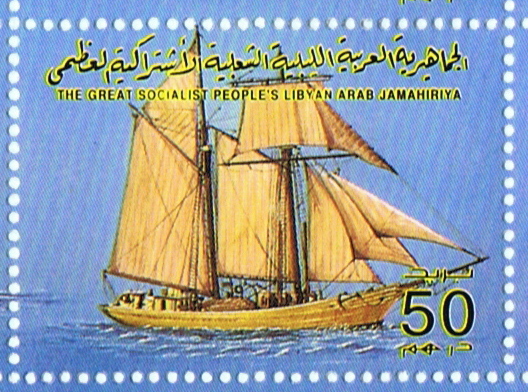 Libya 1993 50dh sg2153, scott? 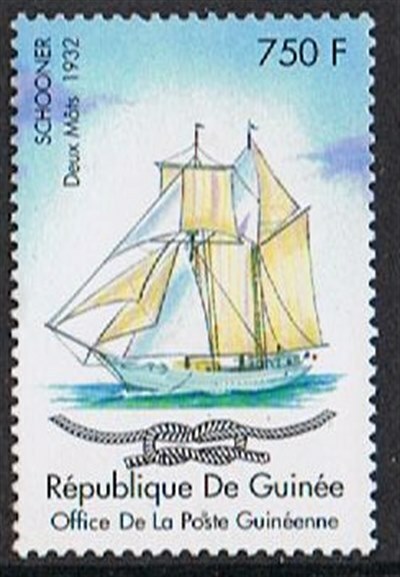 The stamp inscription gives “schooner” but she is a topsail schooner, sometimes called a square topsail schooner. The after mast is mostly longer than the foremast. The rig type dates from the 18th century, although the name not adopted until the mid-18th century. 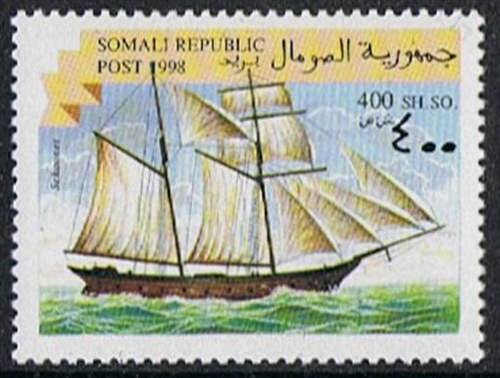 Somalia Republic 1998 400 SH. SO. Sg?, scott? Guinea 2002 750f sg?, scott 2064. 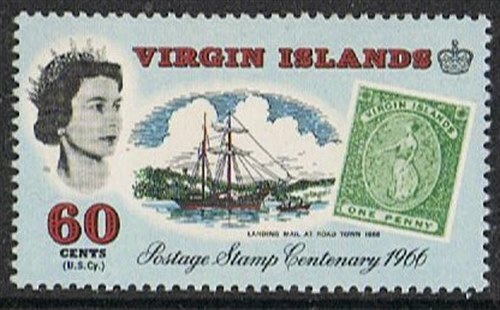 British Virgin Islands 60c sg 206, scott? https://en.wikipedia.org/wiki/Sail_plan Aak to Zumbra a dictionary of the World’s Watercraft.